Lot’s going on over at ‪#‎pavlotech‬! Been a long time since a blog post so here is an update on some new things. Over the past few months, I have been working closely with Autosport Labs and their new ‪#‎RaceCapturePro2‬ data logger. This is not your standard logger though as it has an open source concept that allows some serious customization. There are extra features like cell connectivity, bluetooth connected dash systems, live telemetry, sync with Ustream broadcasts, and more. The feature being showcased in this blog is the the ‪#‎telemetry‬component. There is a cell radio inside the module with a live data connection through a GSM SIM card. Once properly configured, you can then log into their website and view live data (see pics) with minimal delay! One of the new things the RCP2 can do is interface with a CAN bus network that allows a whole new world of information to be logged (and viewed over telemetry). CAN bus is a standardized automotive computer network that allows sharing of data between control systems with just a pair of wires. This is heavily used in the OEM environment, and recently exploded in the aftermarket industry regarding motorsport dash support, connected systems, and OE vehicle integration. The CAN stream configuration is user definable via a custom script in the RCP2 application. I recently had the chance to fully test this at New Jersey Motorsports Parkthis past weekend with the Ratchet Head Racing Team Emtron Australian powered car at a Go Trans Am Racing – America’s Road Racing Seriesevent. With on the spot support from ‪#‎autosportlabs‬, I was able to configure many CAN parameters to be broadcasted over live telemetry. To the best of my knowledge, this is the most comprehensive example of utilizing this feature to date (regarding a high number of channels). There are only 4 wires connected to the ethernet port of RCP2 module, and I was able to pick up the following channels for this test. These in addition to the already included lap timing, GPS tracking, acceleration sensors, and more. Keep in mind, anything the ‪#‎Emtron‬ can broadcast over the network can be picked up. I chose these mostly for testing purposes. The RCP2 supports some familiar “gauges” as you can see in the screenshots, but also allows you to create virtual channels if you are not interested in using the gauge. This is why in the screenshots you can see some parameters labeled “2”. These also display the raw values. One interesting parameter I was viewing was a “Fuel used” channel that reports in gallons used (Fuellevel2). The #Emtron has ‪#‎motorsport‬ math calculations that can be configured. Once the fuel system is accurately characterized in the ECU, the system has the capability of calculating fuel used as accurately as 0.01L. So what can this be used for? Imagine driving a race car (especially during an endurance race) with someone in the pits watching your back the whole time! Peace of mind that is invaluable, especially in a car full of data components like the ‪#‎ratchethead‬ cars. Just drive the car and not worry the whole time about every temperature, pressure, fault, electrical system, etc. With engineering watching, they can get in touch with drivers to notify them about things before they become issues. They can even start planning diagnostics if something is wrong. The fuel used calculation the Emtron reports allows the crew to adjust fueling strategies as well during endurance races. Imagine all the possibilities. Currently on the Autosport labs wiki page there are some example scripts that work with the Emtron “standard” logging CAN output, however this can be fully customized on both ends. Imagine adding channels for Oil temp, trans temp, diff temp, pressures, etc. Contact Pavlotech for more information regarding sales and support of the RCP2 unit! Any engine control systems that use electronic throttle must have strict position error detection for obvious reasons. The OE system uses two separate sensors for pedal position, as well as two sensors for actual throttle position. This ensures the ECU can validate and trust the inputs. If there is an error in validating the position, the system can be set up to react a number of ways. Shutting down the throttle system is the obvious answer to prevent unwanted acceleration (especially on track). With more complicated engines, the aftermarket ECU system must still rely on the same sensors for safety. Diagnosing these types of errors can be complicated (even with a factory ECU), but if your installer develops a good troubleshooting logging set, these systems can be diagnosed quickly and easily. Attached is an example of a failing pedal position sensor using an #emtron #kv8 ECU. The top graph shows drive by wire target vs actual throttle position. If the system is working properly, then these lines should draw on top of each other (except during quick changes). Looks good as you can see. The second graph shows the difference between throttle position sensor 1, and throttle position sensor 2. 0% is normal at all times since there should be no difference between the two signals regardless of the actual throttle position. With a closed throttle, both should read closed. With an open throttle, both should read open (and in between). This is how the ECU validates the position. The graph is blank, verifying there was no error over the entire logging session. The third graph shows the difference between pedal position sensor 1, and pedal position sensor 2. The function here is the same as the throttle sensor comparison. As you can see, there is a lot of activity in this section immediately reporting that there is some sort of issue. The error in comparison is only a few percent (circled values on the right), but the ECU is aware of this almost instantly. This demonstrates (and inspires confidence in) the Emtron ECUs ability to automatically react to to potential problems. A proper ECU logging setup will also make diagnose very simple and painless. The Emtron log viewer allows you to create new tabs for parameter display (see DBW tab section on top). I was able to determine a potential issue within seconds of downloading the ECU log. After collecting and reviewing this data, a plan for furthering diagnosis is easy. Almost every time I have a conversation about engine tuning solutions, the factory ECU is brought up. Factory ECU tuning has its place in the performance industry, but when really considering its ability to provide a solution for motorsports, the advantages of aftermarket ECU solutions cannot be ignored. A great example would be a customer who wants to use a modern engine for racing. When a manufacturer develops a new engine, emissions compliance must also be be met. Emissions is the fundamental priority of ECU systems in newer vehicles. In In most cases, this does not coincide with the tuning concepts for competition racing. In fact, I could write another multi part blog about that subject by itself. Besides all of that, this particular engine has modern features such as multiple electronic throttles and variable cam timing.. The car company this engine comes from also has complicated and proprietary diagnostic tools as well. Generic OBD scanning tools don’t cut it for diagnosis, and there is no way to know how the engine will react on track if there is a fault or limp situation. The cost of manufacturer proprietary hardware and software tools is also rarely considered when making cost comparisons as well. Even then, the factory tools are designed to aid in repairing road going vehicles, not motorsports competition cars. Will the tool even provide you with the data you need to fix your car? Was the ECU software manipulated in some way to allow its use for motorsports competition? Will this manipulation complicate normal race car service in the event of a problem? All very valid questions if you really think about it. No special tools or hardware is needed to connect to the ECUs. You can use any laptop and view logs, live data, faults, etc. The newer the engine, the more valuable this is when the need comes to repair something. With good engine management, you can not only view every single calculated value to determine if the value is erroneous, but also view the live sensor voltages as well. In almost all cases, this is much more informative than what you will get out of a factory diagnostic tool. This video shows a status page just for E-throttle information using a #emtron KV series ECU. There are several tabs for every other engine function as well. Almost every sensor and actuator has programmable thresholds for faults. This means you can maintain the safety of an OE system, but also customize it. You can choose the substitute values yourself. Higher level ECUs (#Emtron) even have “fault tables”. Fault tables are lookup tables for those substitute values so they are active instead of a static number. Most OE solutions don’t even do that. Check out this video that shows off all the runtimes and logging functions available for a dual drive by wire setup. Continuing the mini blog I started last week, let’s talk about the advantages of aftermarket ECU systems. Modernize your fuel injection system by adding sequential fuel injection, wideband o2 sensors, and direct fire ignition. Motorsport ECUs offer advantages in more accurate fuel modeling as well. Compensations for fuel pressure differential, fuel temperature, and ethanol content can be programmed into the ECU. This is a major selling point for the new systems that Pavlotech (emtron ECUs) offers. While actual engine tuning may be overwhelming and scary to most people, there are still many other functions that are safe to manipulate. For a quick list you can customize data logging sets (as mentioned in part 1), fan speed control, switch input functions, and speed limits. When actually tuning the engine (dyno), you can change important parameters in real time which saves a significant amount of time. This means the tuner doesn’t have to wait to read and reflash changes to the ECU (most factory ECU tuning), while you pay for dyno time. Having all your ECU inputs and outputs functioning properly can be done before hand which saves significant time. Most Pavlotech package solutions are pre-configured this way. Programmable limp modes for almost anything you can think of. Low oil pressure? Engine overheating? Engine too cold? Customize these to protect your vehicle. This is a major function that is often overlooked when considering ECU solutions. Want to run different octanes? Do you have a number of calibrations you want to run at the same time? Valet mode, boost target, lambda target, and torque limiting can all be switched actively! Switch inputs can be configured to limit vehicle speed. Similar to valet mode, but also is more commonly used for pit speed limits during races. The video shows ratchethead racings #02 with an #Emtron KV8 ECU demonstrating the pit speed limiting function. If you look close (sun glare) you can see the #AIM #MXG dashboard flashing to notify the driver what limit mode he is in. Then he switches it off. All of this is customizable, and can be configured to work together with logging and display products. It always surprises me how fascinated people are with some of the most simple features aftermarket ECUs offer. For road going legal vehicles it is understandable to look into tuning the factory ECU if possible, but there are serious disadvantages when making a real comparisons to a good aftermarket ECU. This is especially true regarding information that is useful, and arguably needed for #motorsport #competition. There is so much to discuss, I will split this into 3 sections posted weekly. Feel free to share, reply, and discuss. Aftermarket ECUs can provide much more intensive and customizable information for your #dashboard or #logger. In most cases you only need two wires connected to a reputable piece of hardware to pick up nearly all of your important data. Otherwise, imagine how labor intensive it would be hooking everything up individually. Depending on what hardware is used, the parameter list can be customized to your needs. Analysis of the data is commonly used for multiple driver vehicles, driver coaching, verifying calibrations, and more. A lot of #dashboards can be configured to pick up original equipment #CANBUS streams, but you are limited to what the system broadcasts as compared to an aftermarket ECU. Customize the display to show RPM, throttle, lambda, fuel map positions, and more. Activate alarm functions for different parameters and modes. The video shows the new #AIM #MXG #Dashboard configured for the @turnermorotsport @bosch #MS4 Sport ECU package for #BMW #E46M3. This system is utilized in @Ratchet Head racings #00, and is set up for the following displays and alarms. Oil/Fuel pressure alarms, Oil/Water temperature alarms (hot and cold), Battery voltage alarms (two stages), Fuel cut alarm (RPM limit/speed limit), Fuel map position, Ground speed limit display, and more. There are over 40 channels that are also continuously recorded as well, which are available for download and data analysis. This is separate from external data logging. Depending on hardware options, a customized parameter set can be logged at different rates (to maximize logging memory) directly by the ECU itself. This way, you can prioritize your dash/logger stream with more “driver” data, but still evaluate specific engine parameters later. This is a great tool for diagnosing potential issues (think OBD2 freeze frame data X infinity), as well as safely viewing recordings to finalize a calibration. Not all ECUs offer logging as standard, but the @emtron KV series variants that #pavlotech distributes comes with it standard! Most of the issues I see regarding standalone electronics are usually due to the fact that calibrations are “incomplete.” The tuner may have spent a couple of hours adjusting for WOT on a dyno, while having no regard for the initial setup itself. This can happen for several reasons, but usually due to customer budget constraints. 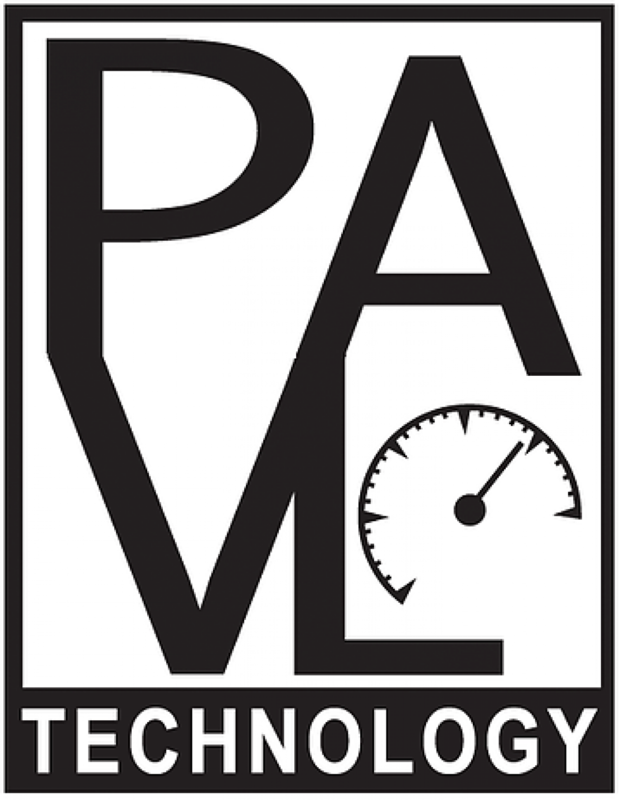 We at Pavlotech spend countless hours ensuring each function is properly interpreted and controlled before even considering performance tuning. The attached image is a preliminary log showing valuable data regarding BMW VANOS control (S54/S62/S50eu). The graph shows these advanced control strategies being developed as well as specialized firmware from Emtron for the specific application.